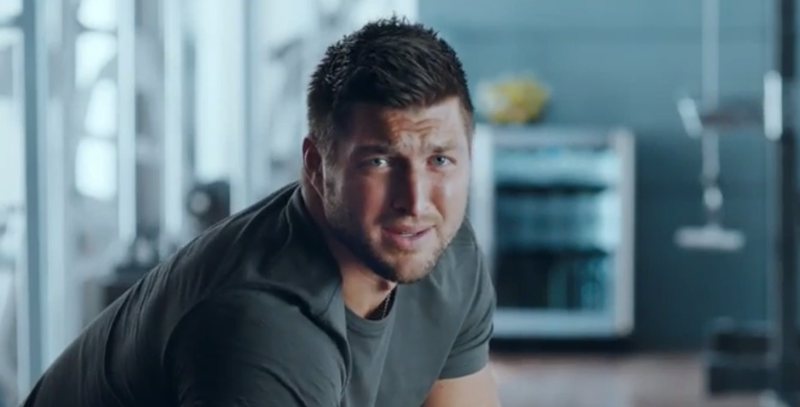 And the oddest match-up of the century goes to, T-Mobile and Tim Tebow. In the UnCarrier’s latest commercial, the out-of-work quarterback pokes fun at himself, as he continues life without an NFL contract. Get it…T-Mobile and no contracts? During his time without one, Tebow has been able to deliver babies, save puppies from burning buildings, do his own stunts in B-movies, call out Iceland during a world peace meeting, throw actual moonshots, and take selfies with Bigfoot. Who knew that being out of work could be so awesome for Mr. Shirtless-in-the-rain.